NEGBINOMDIST Function in Excel calculates the Negative Binomial Distribution for a given set of parameters. 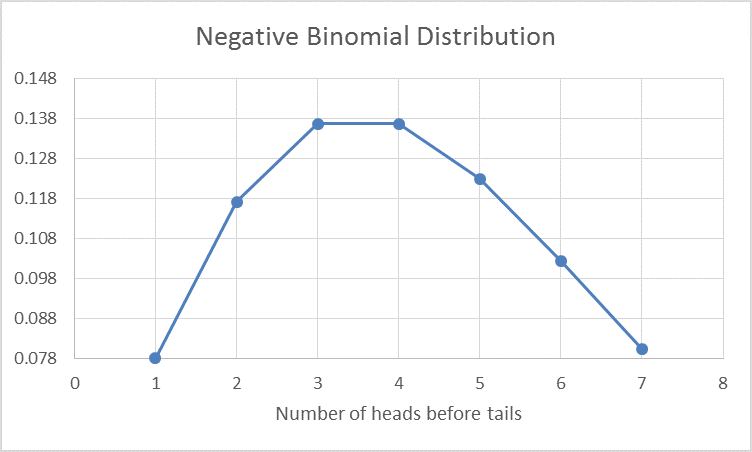 Negative binomial distribution gives the probability that there will be a specified number of failures before a required number of successes is achieved. When we plot the above result with number of failures before the success on x axis. We will get the graph.